The clean alpine air, the smell of the pine trees and mountain views all around you. Can you imagine? Banff National Park, the most popular Canadian park is a real heaven for outdoor enthusiasts. 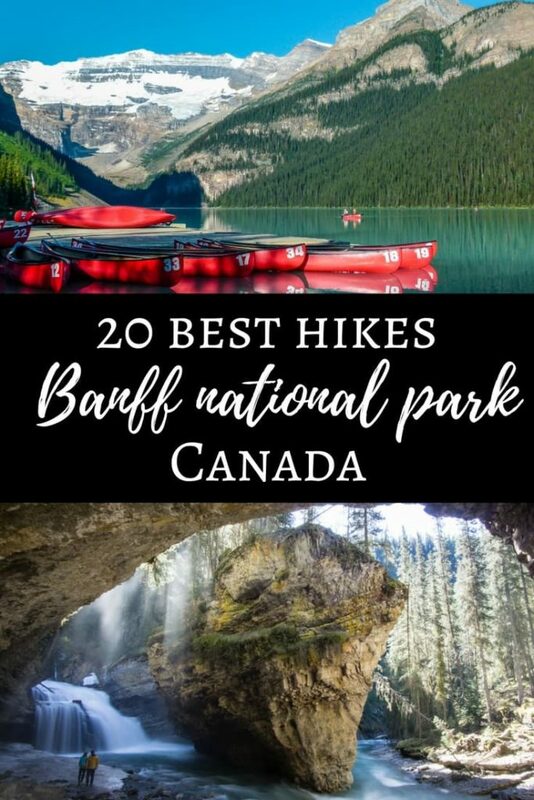 We compiled a list of 20 best hikes in Banff National Park. Hiking in Banff National Park is like having a croissant in France or visiting a Buddhist temple in Thailand. Something you came here to do. Did you know Banff national park is the oldest and busiest of all national parks in Canada? Or that its name has a Scottish background? Banff national park was established in 1885 and attracts almost 4 million visitors per year. When directors of Canadian Pacific Railway came here, they named it after their birthplace, Banffshire in Scotland. 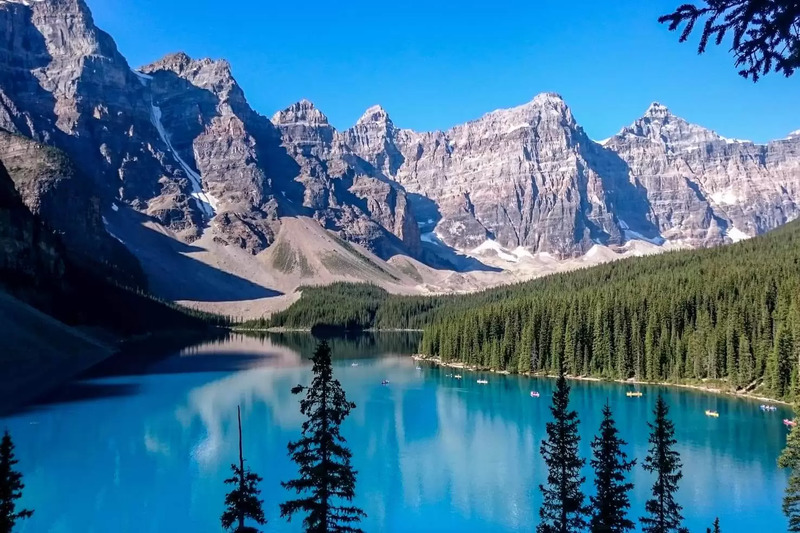 With more than 1000 glaciers and countless lakes in every shade of blue you can imagine, hiking in Banff national park is the best way you can experience it all. From the airport, you can take a shuttle bus from one of the two companies Banff Airporter or Brewster. There is also a Greyhound bus service to Banff from Calgary Greyhound Terminal. The easiest way to get to Banff is to rent a car. You’re going to need it to explore popular sites in the national park. Banff visits in average 4 million people a year. Most of them come in the summer and over the weekends as with every popular destination. If you are planning to visit, come during the week and in June or September to avoid crowds. Many hikes are available all year round but keep in mind that hiking in higher elevation might be not accessible during winter. Read our post about when is the best time to visit Banff National Park. Each car entering the park has to pay daily or yearly fee. If you are visiting by bus you are not required to pay the park entry fee. In 2017, all national parks are free of charge as Canada is celebrating 150 years anniversary. To get information about park passes visit Parks Canada site or ask at visitor centers. 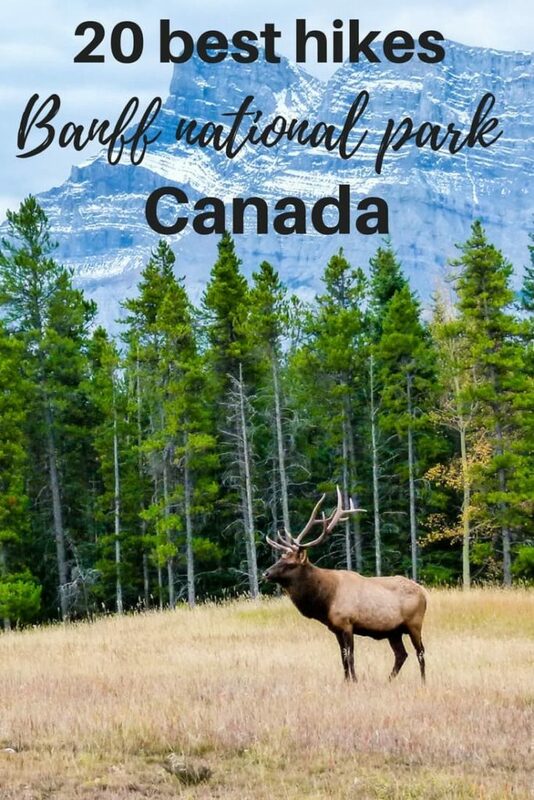 There are around 2500 camping spots in Banff National Park. Most of them are open from May to October. This is really great option to stay in the park as hotels can be fully booked at peak times. 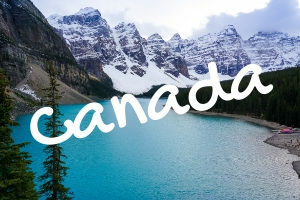 Price for camping in the Banff National Park starts at 22CAD per night. Some campsites are on the first come first serve basis but a lot of them you can book in advance. 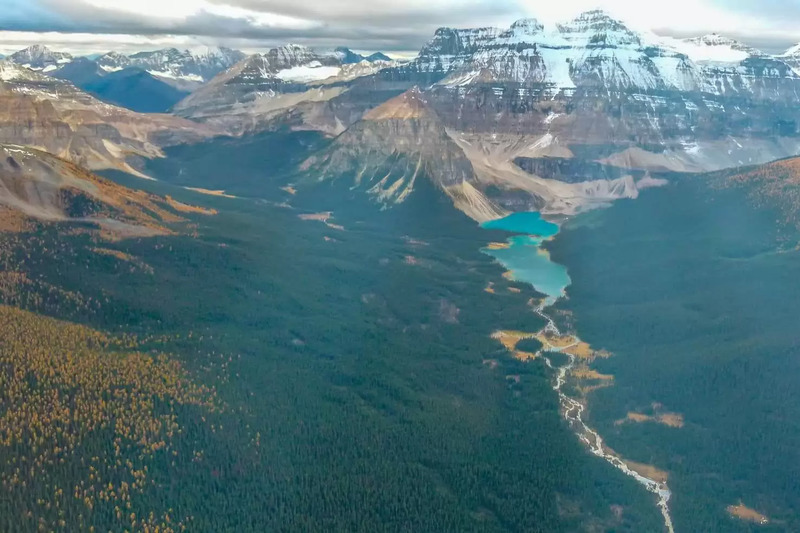 Hotels in Banff have higher than average prices as the park is one of the most visited places in Canada and town limits the development of new hotels to protect the nature. 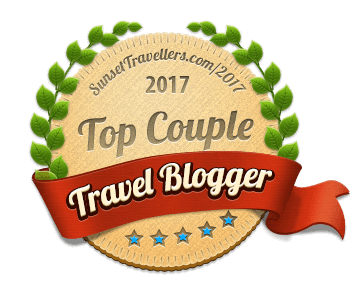 You will find here all types of accommodation from luxury hotels, family bed and breakfasts to backpacker’s hostels. Great cheaper option for accommodation is in Canmore. Canmore is on the border of the national park and offers considerably cheaper prices. By car, it’s only 15 minutes from Banff. Before you leave for your hike check trail closures. In the park, many trails are closed for protecting wildlife in certain months of the year. Keep your distance from wildlife and do not approach or feed any animal in the park. If the animal charges you, Parks Canada has to put it down. And it will be YOUR FAULT that innocent animal will die. Are you prepared to live with that? Visiting mountains in Canada means getting into bear territory so you should carry and know how to use a bear spray for you own safety. Some trails require at least 4 person groups for hiking. In this case, just wait at the trailhead for other hikers to join you and go together. Don’t forget to relax your legs in Banff Hot Springs. Visiting mountains in Banff also means that snowing in summer is possible. When you are leaving for a hike bring layers with you. Weather can change quickly. Check the list what you should bring with you on a hike in Banff. If you are coming to Banff to enjoy the lakes and countless shades of blue don’t forget that winter in Canada is really long. Therefore many lakes can be completely frozen until the end of May or beginning of June. 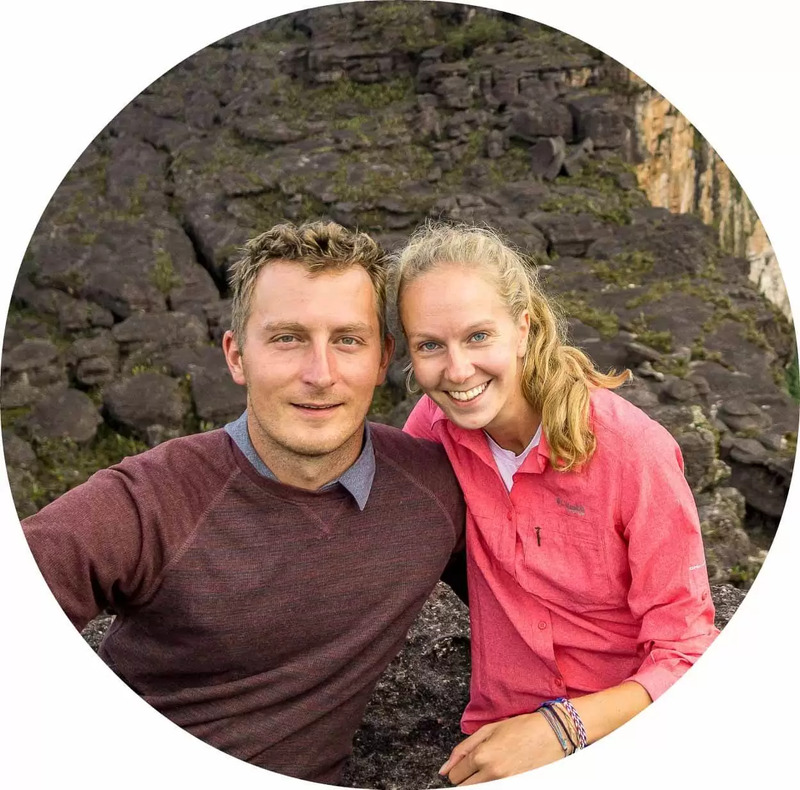 We had couchsurfers that visited the Rockies in April and were surprised and disappointed that all lakes were frozen at that time. 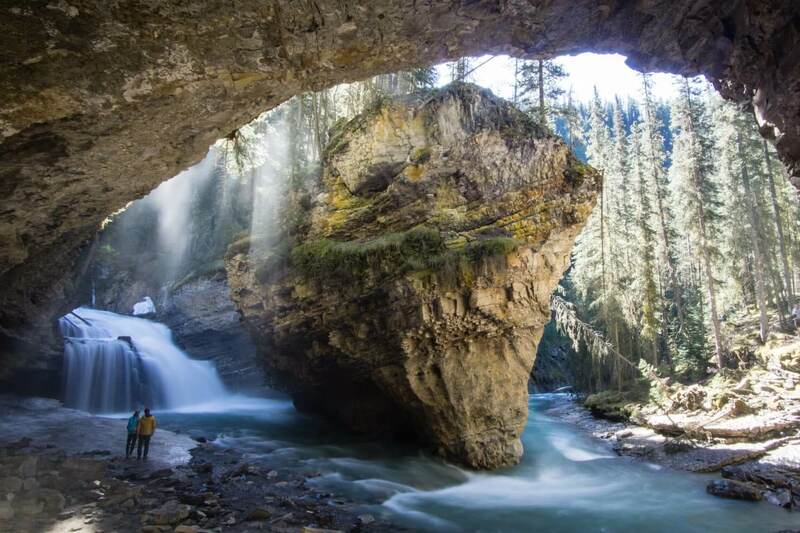 Get inspired by our list of 100 things to do in Banff National Park. Tunnel Mountain is a small mountain you can see on almost every Banff postcard. 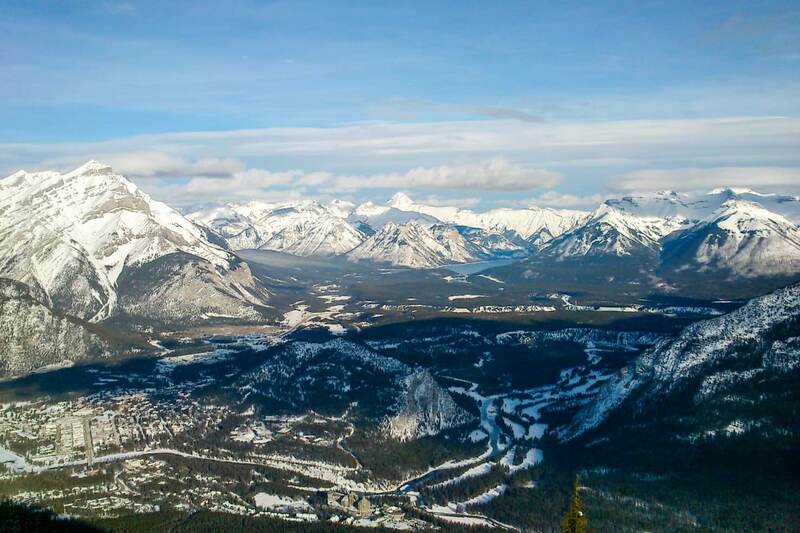 In a very short time, you will see from the top the town of Banff, the Bow Valley, Vermillion Lakes and Mount Rundle. The trail goes slowly uphill and you can see hiking people of all ages. It gets very busy in summer, I recommend starting early to enjoy it. Don’t be surprised, there is no actual tunnel even though it’s called Tunnel Mountain, it was initially proposed by Canadian Pacific Railway for the trains to go through but later it was changed and the railway is going around the mountain. Where to start: Hoodoos trail has two trailheads. One trailhead is at Surprise Point close to city center and the other one opposite the Tunnel Mountain Campground. The trail is flat with some steep sections and well-trodden. It is shared with visitors on bikes. You will be walking along Bow River within the town of Banff. If you start at Surprise corner, you will be walking down well-maintained steps. Most of the trail is on the gravel with some dirt sections that can be muddy after rain. At the end of the trail, you can enjoy the view of the hoodoos with the possible encounter of elk, which are common in this area. Where to start: This trail is right under the gondola cables. Trailhead is at the upper parking lot for the Banff Gondola and Banff Hot Springs. 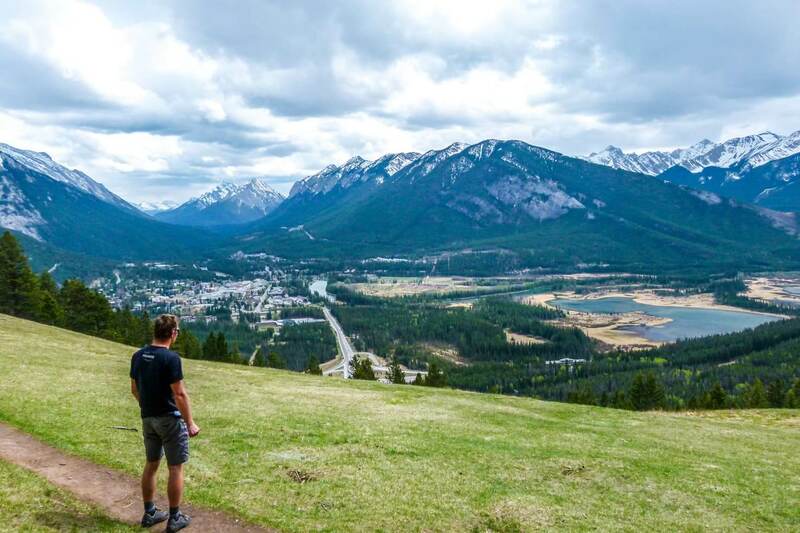 This trail is a cheap and less crowded alternative to gondola ride for panorama views of Banff. Keep in mind that weather on the top can be significantly different than it is in the parking lot. Just because it’s warm when you get off the car doesn’t mean it won’t be snowing on top of the Sulphur Mountain. The trail has a steady incline and is accessible all year round. It is in the forest with occasional view points, on a smooth dirt or gravel surface and leads to the upper terminal of the gondola. Once you get to the top, you will walk on the boardwalk for another 10 minutes to get to the Cosmic Ray Station for the best view of the Bow Valley. From here you will return the same way back. In the off-season, you can take a ride down on the gondola for free. 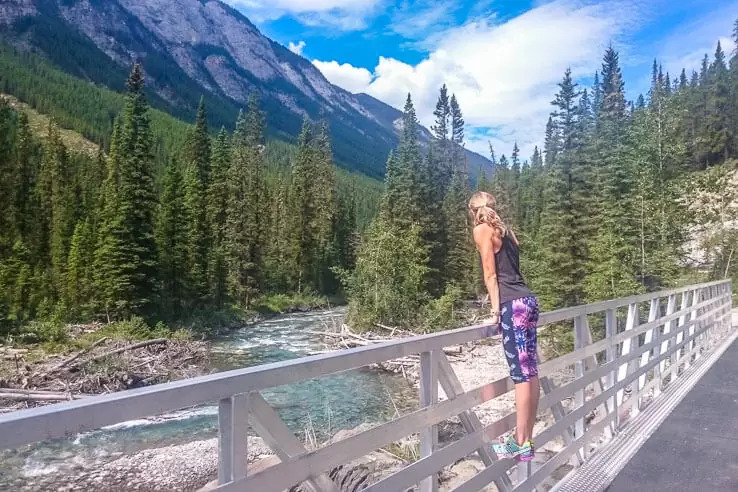 Where to start: Trailheads are on both sides of Spray River either at the golf course past the Bow Falls Viewpoint or just behind the Fairmont Banff Springs Hotel parkade. The trail from the hotel is an old fire road leading towards Goat Creek Valley. It goes along the Spray River for about 6 km. There is a pedestrian bridge that will bring you on the trail towards golf course in Banff. If 12 km is too short for you, you can continue towards Canmore for up to 14 km and then back to Banff returning on the Spray River Loop. The trail is mostly flat with some short uphills. It is used by hikers, bikers, runners and horseback riders in summer. When covered with snow Spray River Loop can be used for cross-country skiers or fat bikers. This circuit is our favourite trail in Banff. Where to start: Trailhead is located at Banff golf course. Park at Bow Falls, same as Spray River Loop. You can see Rundle from Sulphur Mountain, it’s right across the Bow Valley. The hike starts on the back side of the golf course. It follows Spray River for about 0.5 km then you turn left at the sign for Mount Rundle. From here it starts to go steep uphill that requires a lot of strength in your thighs. As you get about tree line, the trail will change into switchbacks. From here you will also need some basic scramble skills as you will be hiking on the scree. In case of any signs of bad weather, I suggest you turn around as you will be exposed on the mountain which is not a safe place to be during a thunderstorm. 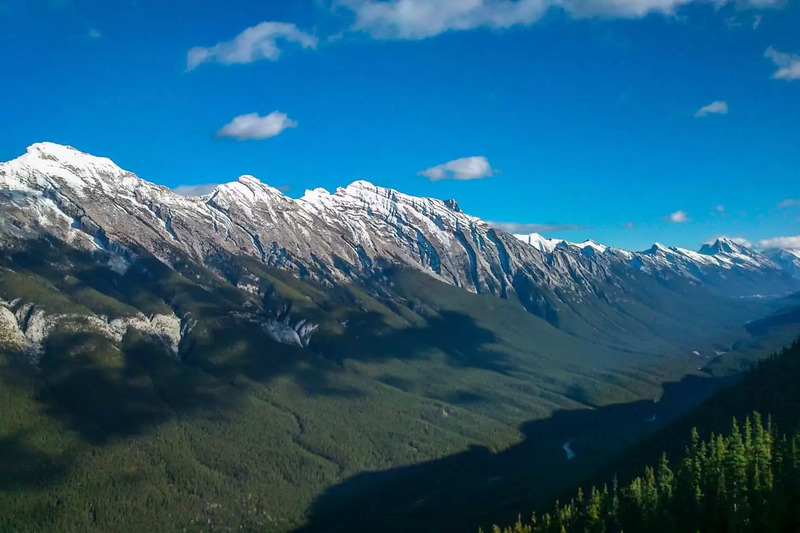 From the top, you will have scenic views of the Bow Valley. Where to start: Drive up to the Mount Norquay Ski Area. Park your car and walk along the parking lot to find the trailhead. Start walking slowly downhill towards the last lift. After about 800m, turn right at the fork into the forest to get on the trail. 3 km later you will cross the river on the bridge and forest opens up from here. You will have a picturesque view of the natural almost 400m tall wall. From this point, you will start to climb uphill. One kilometer before the wall you will reach meadows. Best time to come is mid to end of June for colourful experience and meadows full of blossom flowers. 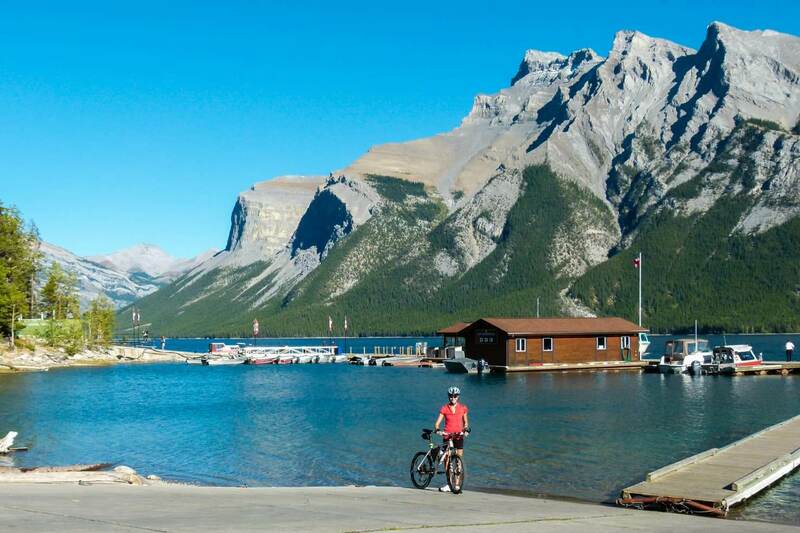 Where to start: Drive to Lake Minnewanka and park your car at the main parking lot. Trailhead is behind the picnic area of the Lake Minnewanka. You will hike on the north shore of the lake. It’s narrow and flat with some short climbs. You can decide where you want to turn back. It is easily walkable going out and back. 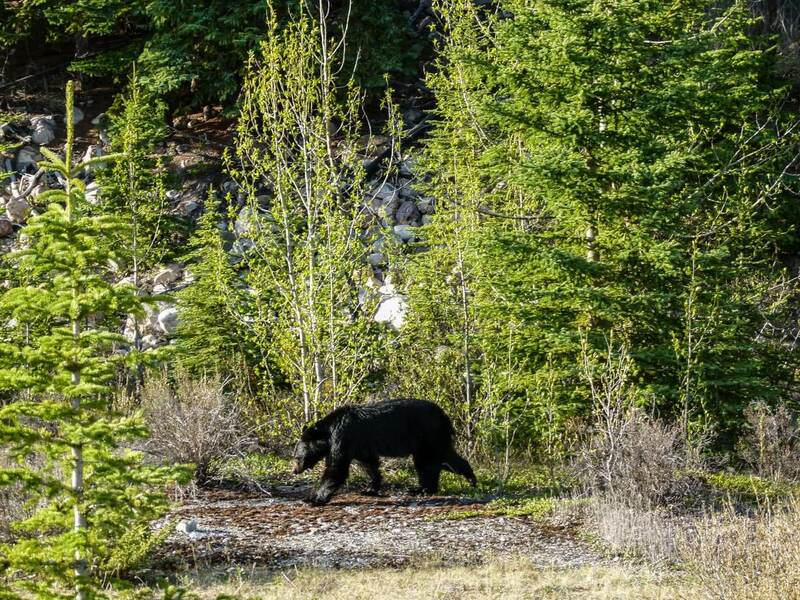 You can also bike the trial but it is closed for biking in summer months as many bears are feeding around the area. Best time for hiking is between May and October. Read the bear warnings as closures of the trail are very common. Where to start: Starts at the same point as previous Lake Minnewanka hike at the lake picnic area. A nice add on to Lake Minnewanka Shoreline Trail hike. The trail follows the same lake shoreline trail for 7 km. At the fork take left towards Aylmer lookout. At this point, the trail starts to climb towards the lookout. It takes about 4 km to get to the Aylmer lookout where you will be rewarded by stunning panoramas of the whole Minewannka Lake. If you have more time, instead of going to Aylmer Lookout, choose the trail towards the Aylmer Pass at the intersection. For great sunset pictures, stay at the Minnewanka Lake camp. You need to purchase a backcountry camping pass in advance at the visitor center in Banff. Where to start: Drive to Sunshine Ski Resort and park at the main parking lot next to the gondola. From here you can take a gondola or hike up for 4.5 km to the Sunshine Village. The trail starts at the upper terminal of the gondola. From here walk left on the wide gravel road uphill. After 1.5 km you will come to Continental Divide Sign. Another 45 minutes of walking and you will get the view why this is the Most hiked place in the Canadian Rockies, especially if you come at the beginning of summer when meadows are covered with flowers. Another good time to hike Sunshine Meadows is the end of September when trees turn into yellow. You can imagine this place as a roof of Canada. From here to the west all rivers flow to the Pacific Ocean and East to the Atlantic Ocean. Where to start: From Banff take Trans-Canada Highway towards Lake Louise. After 8 km pull out to Redearth parking on the left-hand side. Start of the trail is near the wooden sign. This trail can be done in a variety of options. 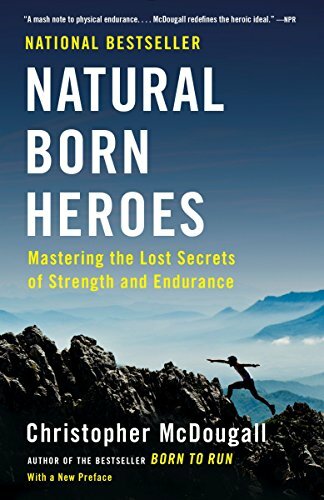 You can hike; bike and hike or ride the horse. First 10 km of the trail is on the wide forest road. The last section has been washed out by 2013 floods so you need to find your way through the river. Once you reach the sign for Egypt Lake, park your bike (bikes are prohibited pass the sign) or continue walking for another 2.5 km to reach the historic Shadow Lake Lodge. Another few minutes of walking and you’ll reach a pristine Shadow Lake. Where to start: On Bow Valley Highway (1A) between Banff and Lake Louise stop at Johnston Canyon parking lot. From here look for the trailhead located left of the toilets. 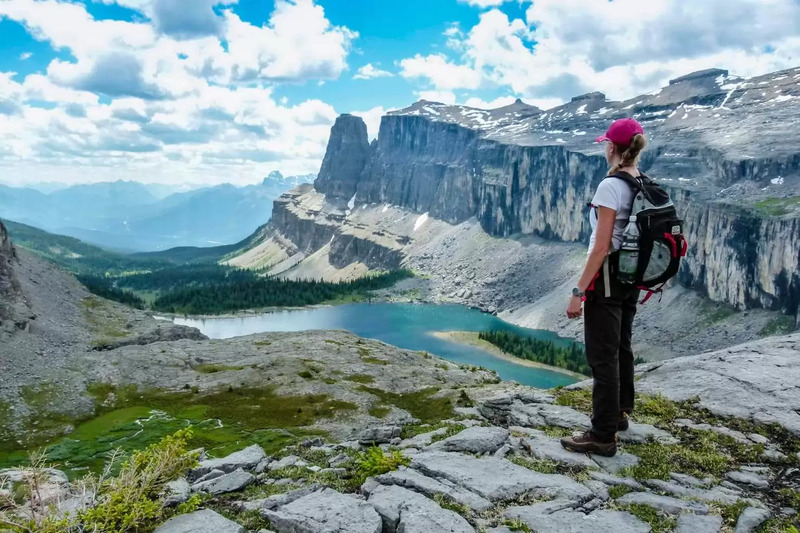 Hands down one of the most visited hikes in Banff National Park. The Upper Falls are 2.7 km one way and Inkpots 6 km one way. To the Lower Falls, the trail is paved with some great views of the canyon from the catwalks. The trail is completely in the forest with nice scenery for making photos. Better to come early in the morning or late afternoon when crowds are smaller as it is a popular stop for tour buses. Inkpots on the top are emerald coloured pools with mineral water constantly releasing small bubbles of gas. Consider coming in mid winter as the river and falls are completely frozen for incredible pictures. See more in our article Ice walk in Johnston Canyon. Where to start: Exit Trans Canada Highway at Castle Junction or drive on Bow Valley Parkway from Banff or Lake Louise towards Castle Junction parking lot. To get to the lake you will need to climb uphill in the needle forest for about 5 km. Then you reach first flat part of the trail that will bring you to the Tower Lake. From here you can enjoy great views of the Bow Valley. Once you reach the rocky wall you will continue walking through the steep switchbacks to the second platform where Rockbound Lake is. 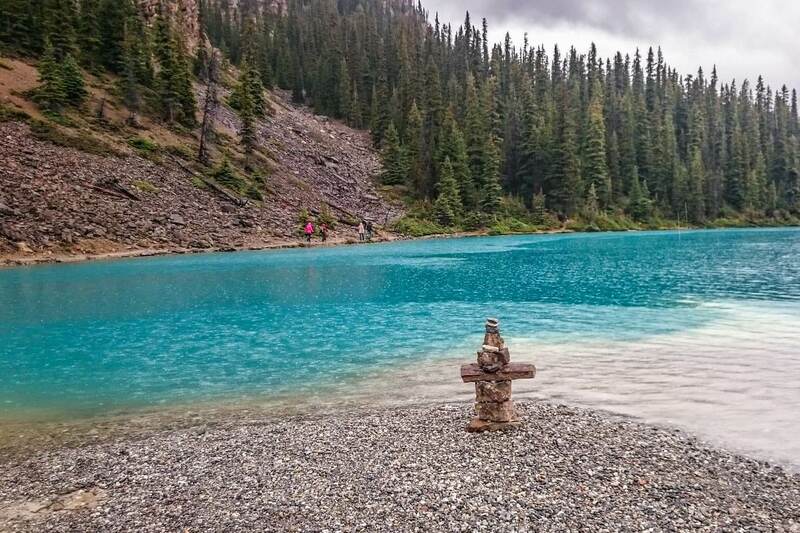 Enjoy the view of the lake trapped between towering steep rocky walls or follow the trail to the right of the lake and enjoy even better view from the back side of the lake towards Bow Valley. This last section is really steep and requires some extra effort to get to the top. The trail has dirt surface so expect it to be muddy after winter or during rains especially on the lower flat part. Where to start: Take the road towards Moraine Lake. From intersection in Lake Louise, it’s about 2.5 km driving. The parking lot and trail head are on left-hand side. During summer you need at least four people to hike in a group as bear encounters are very common. Campsite at the Paradise Valley is closed during July and August because of it. The hike starts with not very steep 6 km walk towards Lake Annette. You will cross few wooden bridges on the way to the lake. You will come to the lake through its moraine. The trail continues for another 4 km under the Mount Temple. Before you reach the Giants Steps, say Hi! to Sentinels (rock formations that look like guards) on the Sentinel Pass. Once you reach Giant Steps you can enjoy great views of Paradise Valley. Where to start: Trail starts from the shore of the most beautiful alpine lake surrounded by Ten Peaks – Moraine Lake. Come early in the morning as parking at the lake is limited. Otherwise, you might need to use a shuttle to get to the lake from Lake Louise. Most people come here at the end of September as the larch trees turn yellow before they drop their needles. During summer it is required to walk in groups as bears are present in the area. The hike starts at the parking lot. You will steeply climb for 4.5 kilometers in the forest switchbacks. Once you reach the meadows, you will get scenic views of the whole valley. On the top, you will see two small Minestimma Lakes. This hike is one the most popular hikes in the Rockies. Where to start: Trailhead is located at the Moraine Lake parking area. The trail passes through the front end of the moraine. To hike this trail you are also required to walk in a group of four or more as bear encounters are common. This easy hike goes through the forest and meadows before you reach Consolation Lakes. You can take a dip in crystal clear water the temperature is only for brave ones. Great panorama at back side will justify the time spent walking here. 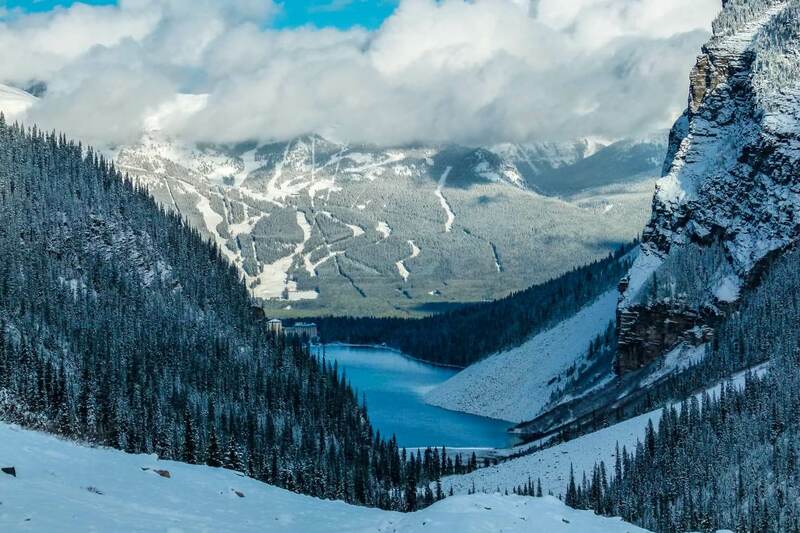 Where to start: Drive to Lake Louise and park at Lake Louise parking lot. The hike starts at the shore of the lake. 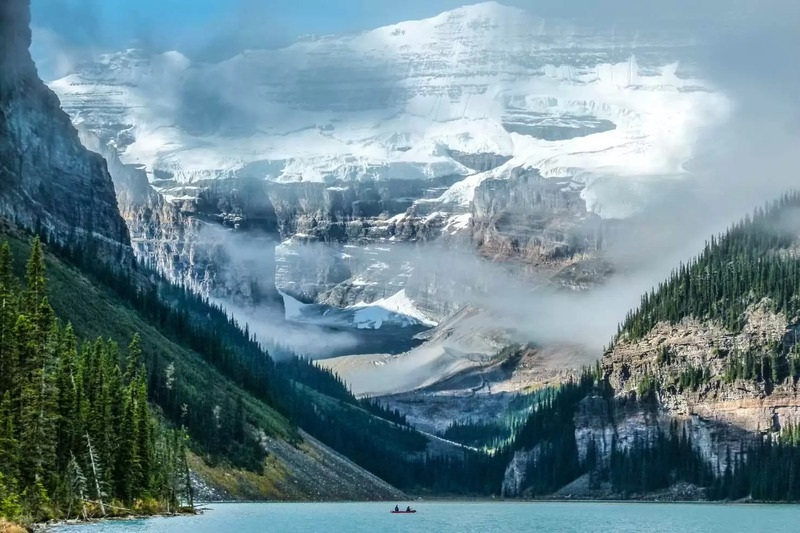 This moderate hike will reward you with a great up-close view of Victoria Glacier and a view of the Lake Louise from the back side. The trail follows the shore from the right-hand side. Once you get on the back side of the lake the trail will start to climb. From this point, you will walk constantly uphill. The energy spent on the way up can be recharged in the Plain of Six Glaciers Teahouse at the end of the trail. From the teahouse, you can walk another 1.5 km to get a better view of the glaciers. 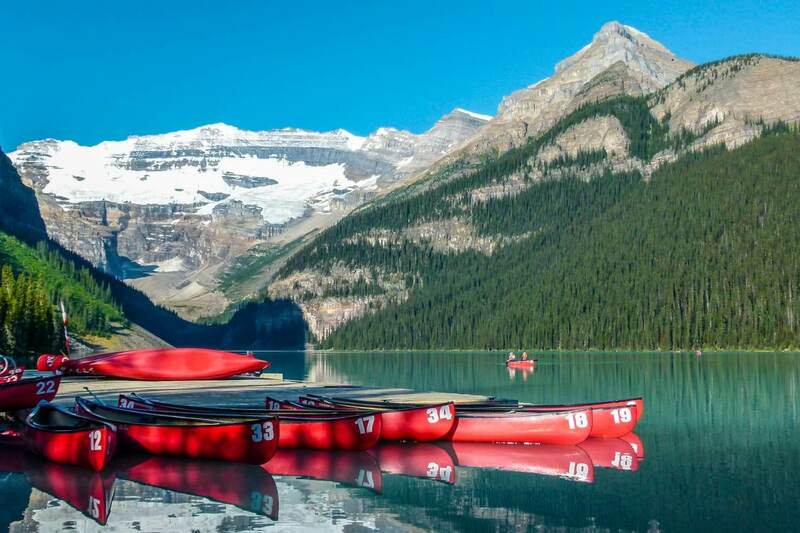 Where to start: This trail also starts at the Lake Louise shore. Use the parking lot at the lake. 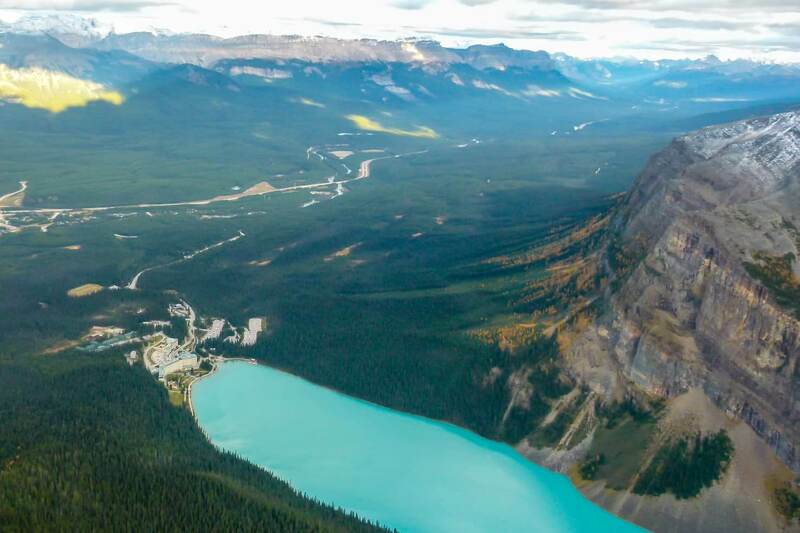 This hike gives you bird’s eye view of the Lake Louise. It has two options. From the lake shore, you will start to climb within the forest switchbacks for 3 .5 km to get to Lake Agnes. After that is only about 15 minutes more to the Lake Agnes Teahouse. From here you can enjoy some tea and head back or continue to the Beehive Circuit. Keep in mind that the shorter version of the trail is really busy especially during weekends and holidays. To avoid crowds, come early in the morning or continue on the trail for another 3 km steep uphill to get to Big Beehive for some great views. This part is much harder than the first half. But as you can expect the view is rewarding. 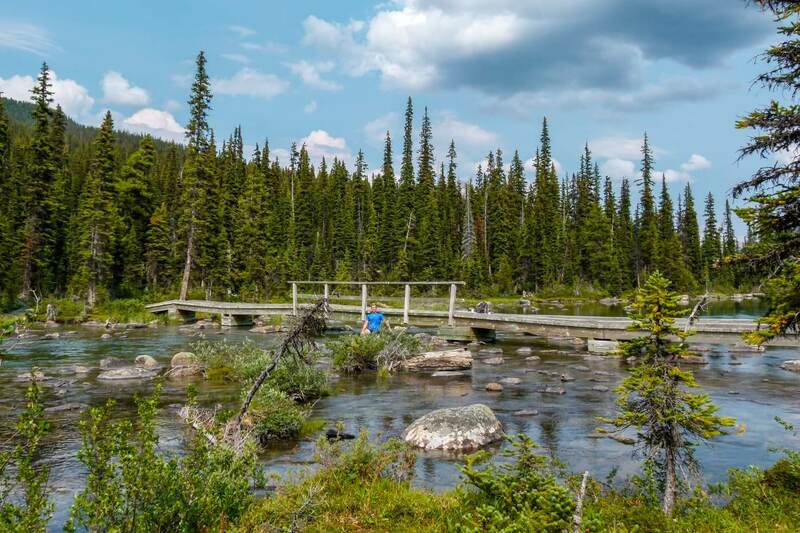 Where to start: Trailhead for this short hike is on the Icefield Parkway, about 18 km north from the Trans-Canada Highway. Trailhead might not be visible so ask at the Visitor Center. Really easy hike to the shore of the Hector Lake. From the shore, you will get great views of Waputik Range. The trail is flat going slowly downhill as you decrease by 60 m when you reach the lake. Where to start: Take Icefields Parkway 93 towards Jasper. The hike starts about 39 km from Lake Louise. Take the exit to Bow Lake and park at Num-Ti-Jah Lodge parking lot. It is an easy walk around the northern shore of the Bow Lake. Takes about 2 km to get on the other side of the lake where the trail starts to follow the creek to the Bow Glacier Falls. From here the trail starts to climb a little bit. You can enjoy the view of the glacier over the rocky valley. Best time to come is in the morning as you will enjoy breathtaking reflections on the emerald coloured Bow Lake. Where to start: Take Icefields Parkway to the northern edge of the National Park. If you’re driving from Banff, it is 15 km before Columbia Icefield. Stop at the parking lot for Parker Ridge. Trailhead is on the south side of the road. This really easy hike takes you straight uphill on the switchbacks. After a few minutes of hiking, you will get above the tree line. Meadows are filled with flowers at the end of July and beginning of August. Once you reach the ridge you will have great views of Saskatchewan Glacier, Saskatchewan River and Wilcox Pass. Don’t forget to bring warm clothes as this hike is at quite high elevation and even in the summer, the weather changes quickly. Let us know which hike you love the most. Do you have another favourite you would add? Ahh…need to visit Banff again in spring and summer!! Thanks for the suggestions. From recent experience I’d say the Spray River trail is a lot more work than the payoff though. That’s sad to hear. I love that trail. But walking in the valley is usually less exciting than to the top of the mountain.